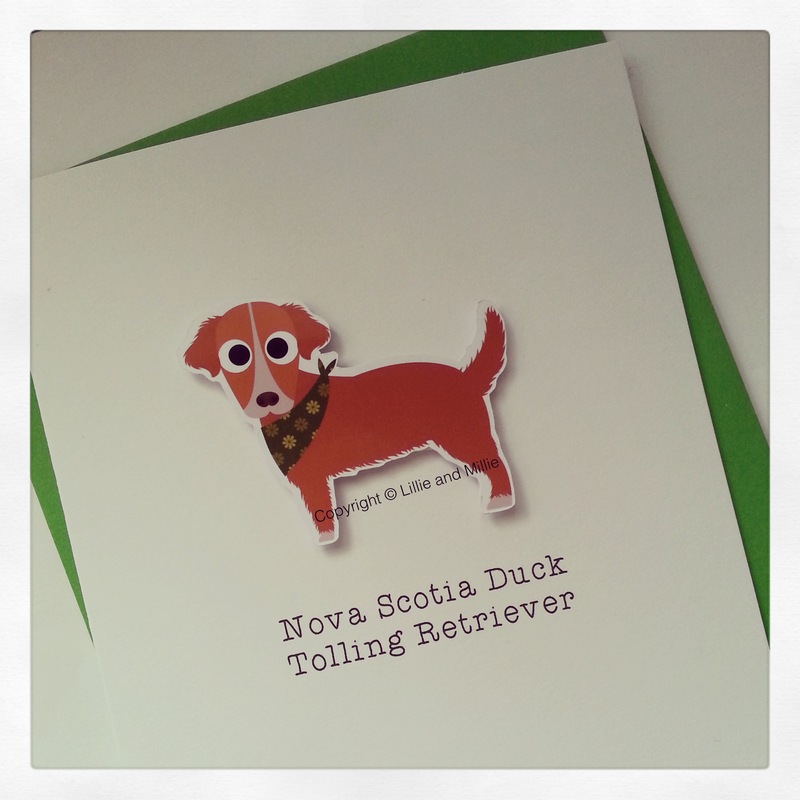 Our super cute Toller breed card is simply pawfect for most occasions and guaranteed to brighten any dog lovers day. Size: 10.5 cm x 15 cm - complete with an envelope. Our standard Toller breed card with a green pattern bandana. Want to personalise with the name of a pooch? Then please email your requirements to sales@lillieandmillie.com If you wish to purchase from outside the UK please contact us for shipping costs before you purchase.